There are seven WWII ribbons. World War II military ribbons symbolize service in a particular campaign or theater. By looking at these ribbons, it is possible to see the varied careers of WW II veterans. 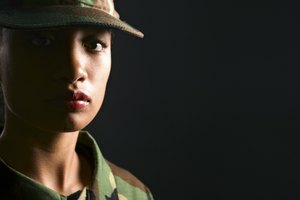 The meaning of the ribbons may be determined by using the Department of Defense (DOD) Institute of Heraldry website. There you will find a picture of the ribbon, its name and the reason that it was awarded. Replacements ribbons may be ordered from the Army with proper documentation. Observe the ribbon carefully and note what colors are used and the pattern of the colors. If the medal is attached, examine it as well. You may be able to identify the ribbon by the words on the medal. If not, seeing the details of the medal will make the ribbon easier to track down on the Institute of Heraldry website. When you finish, place the ribbon back in storage to prevent damage. Go to the DOD Institute of Heraldry home page (see the Resources section). 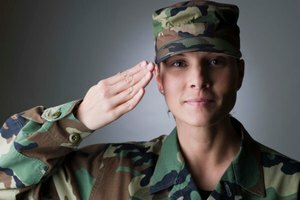 This site provides information about all ribbons used by the military services throughout history. On the menu bar across the top of the page, click on the "Decorations and Medals" link. On the next page, click on the "Ribbons - Order of Precedence" link. Next you will see a page with rows of different color ribbons. 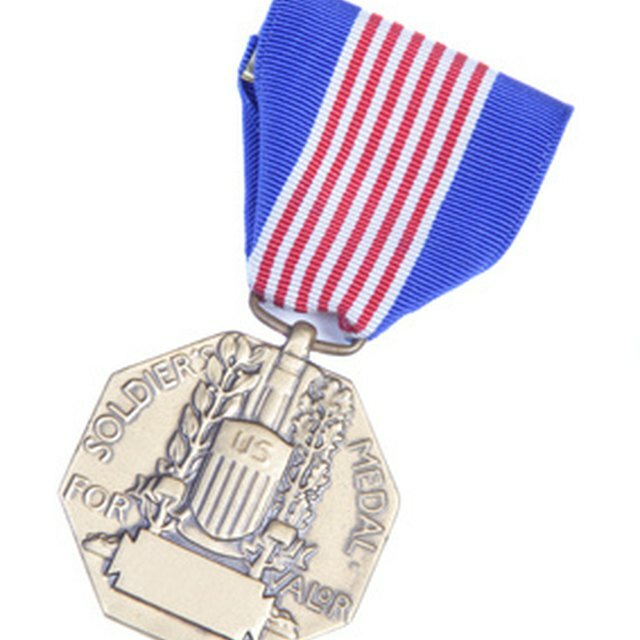 Scroll down until you see the American Defense Medal ribbon (the yellow one almost half way down the page). This ribbon and the six after it are WWII service medal ribbons. Compare ribbons. 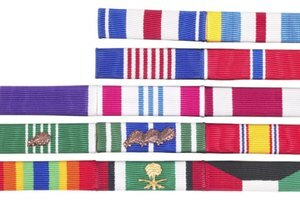 There are seven WW II service ribbons: the American Defense ribbon, the Women's Army Corps Medal ribbon, the WWII Victory Medal ribbon, the American Campaign Medal ribbon, the Asiatic-Pacific Campaign Medal ribbon, the European-African-Middle Eastern Campaign Medal ribbon and the Army of Occupation Medal ribbon. Compare the color scheme of your ribbon to the ones on the screen. This should not be difficult since all of the designs are unique. Again, pay special attention to the details on both the ribbon and the medal. Click on the link when you find a ribbon that matches. 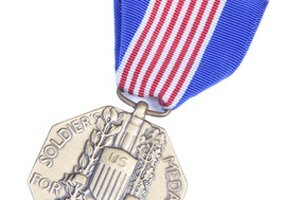 The Institute describes the details of the physical appearance of the ribbon and medal. It also lists the criteria for earning the ribbon and the years that the ribbon was actively awarded to soldiers. Some ribbons come with an associated lapel pin that can be worn on civilian clothes. With proper documentation, some lapel pens can be purchased commercially. Frazier, Liz. "How to Decode WWII Army Ribbons." 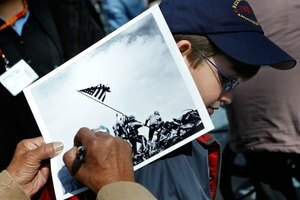 Synonym, https://classroom.synonym.com/how-to-decode-wwii-army-ribbons-12081285.html. 29 September 2017.